Punitive damages are punishment damages. They are awarded in civil cases to punish a victim and to deter and, in all reality, send a message that the conduct of the person against whom they are awarded is not permitted in the community. Punitive damages can be available against individuals who did something intentionally or while drunk driving like cause a car accident. And, punitive damages can be awarded when a person or company chooses to make money knowing that a certain conduct violates the safety rules and will hurt people but decides that the making of money is more important to them. Punitive damages have been the source of much controversy over the years. Punitive damages can possibly be pursued in a Miami car accident as well as, perhaps, in a Miami slip and fall case. But, punitive damages are not easy to come by. You cannot ask for them in every case. Under the Florida law covering punitive damages, they can be awarded only if the person pursuing them can show by clear and convincing evidence that the defendant was personally guilty of intentional misconduct or gross negligence. Under Florida Statute, “’Intentional misconduct’ means that the defendant had actual knowledge of the wrongfulness of the conduct and the high probability that injury or damage to the claimant would result and, despite that knowledge, intentionally pursued that course of conduct, resulting in injury or damage.” And, “’Gross Negligence” means that the defendant’s conduct was so reckless or wanting in care that it constituted a conscious disregard or indifference to the life, safety, or rights of persons exposed to such conduct. It is also difficult to hold a company liable for punitive damages in a Miami car accident or Miami slip and fall case or any other case for that matter. You have to show that the employer, principal, corporation, or other legal entity actively and knowingly participated in the conduct that you are asking for punitive damages for. You can also try to show that “the officers, directors, or managers of the employer, principal, corporation, or other legal entity knowingly condoned, ratified, or consented to such conduct. Finally, Florida law allows punitive damages against a company if the employer, principal, corporation, or other legal entity engaged in conduct that constituted gross negligence and that contributed to the loss, damages, or injury suffered by the claimant. These standards are all written out in Florida Statute. Even though these damages can stop companies form ignoring safety just to make more money and may deter people from driving intoxicated, the Florida Legislature put caps on punitive damages to protect big business. Caps means that there are limits to how much money you can get in punitive damages. In most cases that our Miami car accident lawyers and Miami slip and fall attorneys handle, punitive damages are limited to three times the amount of compensatory damages awarded to each claimant or a total of $500,000. Now, if there is a case where the jury finds that the wrongful conduct was motivated solely by unreasonable financial gain and determines that the unreasonably dangerous nature of the conduct, together with the high likelihood of injury resulting from the conduct, was actually known by the managing agent, director, officer, or other person responsible for making policy decisions on behalf of the defendant, it may award an amount of punitive damages not to exceed the greater of: four times the amount of compensatory damages or two million dollars. Finally, where the jury finds that at the time of the injury a defendant had specific intent to harm the plaintiff and determines that the defendant’s conduct did in fact harm the plaintiff, there is no cap on punitive damages. Finally, under Florida Statute 768.74 regarding remittitur and additur, the trial court can reduce this amount to less than three times the compensatory damages. And, you cannot just file a Miami car accident lawsuit or slip and fall lawsuit and ask for punitive damages. This means that punitive damages cannot be pled or set forth in the initial complaint against the Defendant. A Plaintiff’s attorney must make a “proffer” pursuant to Florida Statute 768.72. Now, a Miami car accident lawyer defending a person who is being sued may try to make a “proffer” or hearing on the above grounds into a full-fledged adjudication on punitive damages. But this is not right. Florida Law, rather, provides this process more as a screening process to weed out baseless car accident lawsuits. If the claim has a factual basis that can be articulated and proffered to the court and the Defendant cannot show why the Plaintiff could never get punitive damages, the complaint should generally be allowed to be amended to include punitive damages. And a Defendant’s opposition to the motion and proffer should be treated as a motion to dismiss or strike. Now, even after this is done, the Plaintiff still must show at trial by the greater weight of the evidence that he or she is entitled to punitive damages. And, at trial on punitive damages in a Miami car accident attorney would have to show that the Defendant’s drunk driving met the following prongs as set forth in the Florida Standard Jury Instructions. Punitive damages are available in Miami drunk driving car accident cases and any case where a Plaintiff can show that the defendant was under the influence of alcohol or drugs or had a blood alcohol level over .08. And, it is easier to get punitive damages in these cases because the Plaintiff’s burden of proof would not be the regular “clear and convincing” burden for punitive damages. Rather, the lesser, “greater weight of the evidence” standard applies for these types of car accident cases. Moreover, the limits as far as damage caps for punitive damages do not apply in drunk driving car accident cases. In drunk driving car accidents, the Florida Supreme Court held in 1976 that “[w]e affirmatively hold that the voluntary act of driving while intoxicated evinces, without more, a sufficiently reckless attitude for a jury to be asked to provide an award of punitive damages if it determines liability exists for compensatory damages.” Ingram v. Pettit, 340 So. 2d 922 (Fla. 1976). If you or a loved one was injured by a drunk driver or in a slip and fall, trip and fall or premises liability situation, you should speak with a Miami Personal Injury Lawyer. If you have lost a member of your family in a wrongful death accident, it is imperative that you speak with a Miami Wrongful Death Lawyer. The Miami Serious Injury Attorneys at the Wolfson Law Firm can review and investigate the facts of your accident and help you determine if a claim for punitive damages should be pursued. If warranted by the facts, our Miami Personal Injury Attorneys can and will build a case based on solid investigation and the necessary expert opinions so that your case has the highest possibility of success when a proffer is made to amend the complaint to add your claim for punitive damages. Communication in your Miami personal injury or wrongful death case is important. At the Wolfson Law Firm our focus is client driven and we strive to maintain excellent lines of communication with our clients in person, by phone, email and even text messaging. In our effort to provide clear and effective communication, you should know that Jonah Wolfson is a bilingual personal injury attorney in Miami. He is available to speak with you in Spanish or English anytime. 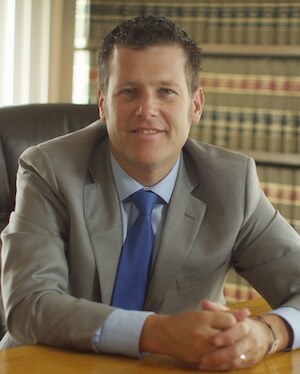 Hear him speak on a variety of personal injury topics en Espanol in our media section. His team is also bilingual and they stand ready to help you. Simply call (305) 285-1115 for a free consultation. Call (305) 285-1115 right now for a free consultation. Miami Punitive Damage Attorneys of the Wolfson Law Firm represent families of wrongful death victims and individuals with personal injuries in Miami Gardens, Fontainebleau, Flagami, Tamiami, Westchester, Allapattah, The Roads, Miami International Airport (MIA), Miami Beach, Doral, Hammocks, Coconut Grove, Midtown, Wynwood, Sunset, Lemon City, Wellington, Wilton Manors, Victoria Park, Oakland Park and all across South Florida neighborhoods and communities.